IT will shock from the opening scene. 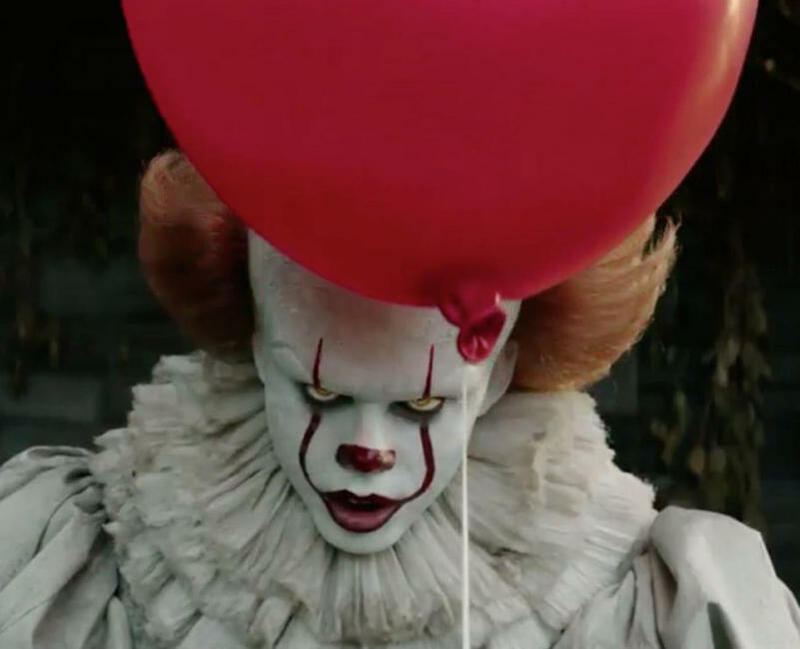 This is a film where a group of kids fight a killer, child-eating clown and it is exactly that child-eating aspect which comes to the forefront in the opening moments. Bloody, graphic and unnerving, IT sets it’s theme from the outset and doesn’t hold-up or give in until the end. This is because IT works on such a simple premise. This child-eating clown plays on each of it’s young victim’s fears and this means the film can be fantastically creative. From leper-patients to a blood-flooded bathroom, the imagery is striking but nothing looks as good or as intimidating as Pennywise the Clown. Bill Skarsgard dons the face paint made famous by Tim Curry and does an amazing job. His voice will chill, his mannerism unnerve and when he becomes the terrifying monster hunting these children, you will feel afraid. This is horror at it’s most inventive by just being simple and terrifying. For this movie to work it had to have heroes to root for. This is where the film relies on children to take us through and the cast is impressive. 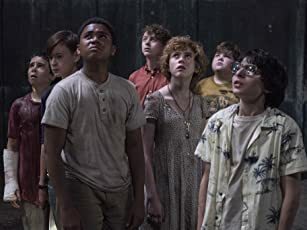 Led by Jaeden Lieberher and including startling turns by Sophia Lillis and Jack Dylan Grazer, the kids rightfully steal the movie and sell both the terror of the situation but also ground the film in some realism and humour. Most surprising of all is Stranger Things’ Finn Wolfhard. Playing a completely different character to the one he is made famous for, Wolfhard is an obnoxious character you love to hate and adds humour to a very dark film. Which is what this film is… dark! It has some humour and moments of joy to bring the characters together but it is a horror and very effective. It works because it commits to the scares and isn’t afraid to throw young characters into grotesque situations. It means you are rooting for the characters from the beginning and straight to the great end. It also sets-up for the sequel very well and you will be anticipating the return of the characters but as adults. It will need to work hard to top what this movie has set-up but as long as it stays it’s scary course, IT will be a successful return. Overall, IT is how to make a horror movie. It is grotesque, original, inventive and scary. It has a dark and iconic villain and heroes which you can root for. You will be engrossed and scared from the beginning and anticipating the sequel. I wish I’d liked it as much as you did. I think as an adaptation of the book it worked, picking the right things to commit to screen, and it served itself well by going in its own direction from the miniseries. But outside of a few specific scary or tense moments, I didn’t find it especially frightening — particularly Eddie’s leper and Bev’s bathroom that looked like it relied more on a red filter than blood. And while I tried not to judge it against the miniseries, “You’ll die if you try” fingerpainted on the wall just didn’t have the same effect as a gurgling voice in a bloody drain. More importantly, while all the kids are clearly talented, I actually don’t feel like we got to know them that well nor did I find their bond to one another all that strong. But that’s why I’m really hopeful for the sequel and the possibility that their grownup relationships will be bolstered with flashbacks to the past. That’s fair. I haven’t seen the mini-series in so long that I was avoiding the comparison as much as possible. As a stand-alone film I think it did everything I wanted it to from a horror point of view. And I was definitely freaked out in places.